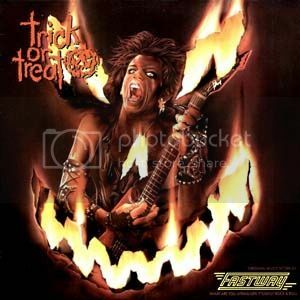 Fastway´s Trick or Treat soundtrack is a good rockin´ album. Story of a boy who grows up in an upper class home with 2 loving parents, basically an entitled life, and when he is a teen he is killed somehow, but he is reincarnated, this time to a poor, low-class family. He looks EXACTLY the same in his second life as he did in the first life. The only other thing that can be remembered about the film is a part sometime toward the end of the movie where the boy is not quite a teenager anymore and is hitchhiking, and he is picked up by the now-older parents from his first life. They look at him in recognition and look at each other, unbelieving...and other than that, total blank. Please help me redeem myself!!! Thanks! Just bought Teachers soundtrack (1984) Very good stuff! Ian Hunter, Freddie Mercury and the mighty Night Ranger. Check out the movie if you haven´t seen it. It´s very good. Just found and bought the OOP The Secret of My Success soundtrack cd. Especially the Night Ranger, Pat Benatar and Restless Heart tunes are great. Gotta love David Foster, he had the magic touch back in the day! 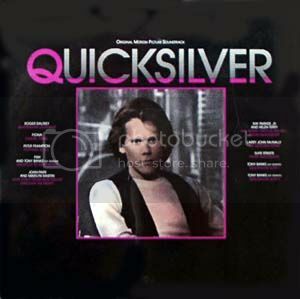 Just got Quicksilver soundtrack on LP. You've got a record player? I had one up until about 5 years ago until it crapped itself when I was in the army. Perhaps someone spilled a drink on it. I dunno. I love the sound of vinyl. That crackling nostalgia. So so sweet. but i just dragged it out. Nothing beats the sound of vinyl. Despite the advances in technology I still think that vinyl has a superior sound to the latest audio formats. I've got the st Elmo's fire soundtrack,had it many years back on cassette and played it that much on my car stereo it ended up biting the bullet,got mangled,not long back purchased the CD. Next on my list I need to get lost boys cd again,leant it to my brother never to see it again. That's the Halloween gig track, it really grows on you after a while! I have the Soundtrack on CD, in fact it's the only CD I've ever bought in a few years... "one love, she could be right..one love, just around midnight!" I also have the St. Elmo´s Fire soundtrack on cd. Best tracks IMO: Fee Waybill´s "Save My Life" and Jon Anderson´s "This Time It Was Really Right". I haven't been on here in a while but I read someone is looking for the Back to School soundtrack. Way back at the beginning of the thread I pointed someone to the Back to School/Pee-Wee's Big Adventure CD that has the score on it. I also have the Back to School vinyl album with all the songs on it. I'm looking to sell it if anyone is interested. I also have the very rare, limited to 5,000 from what I have read, My Tutor vinyl album that i'm selling. I recently sold my Secret of My Success CD but it was a favorite of mine. I still have a bunch of soundtracks cassettes & CDs from the 80's-90's that i'm looking to sell if anyone is looking for anything. 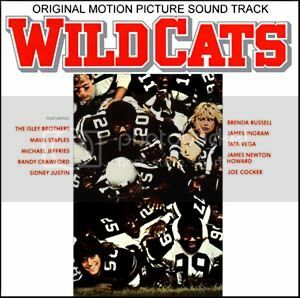 Just bought and listened Wildcats (1986) soundtrack lp and it´s fantastic! 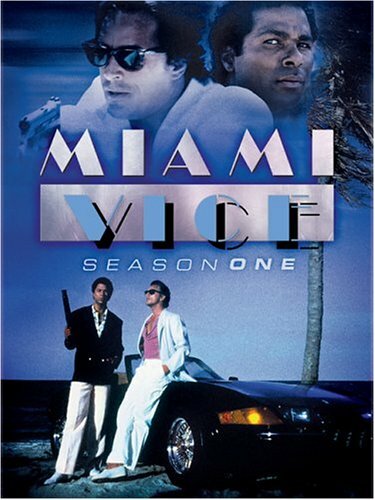 Lots of great up-tempo tunes written By James Newton Howard and Hawk Wolinski. Fright Night soundtrack finally officially released on cd december 9th! 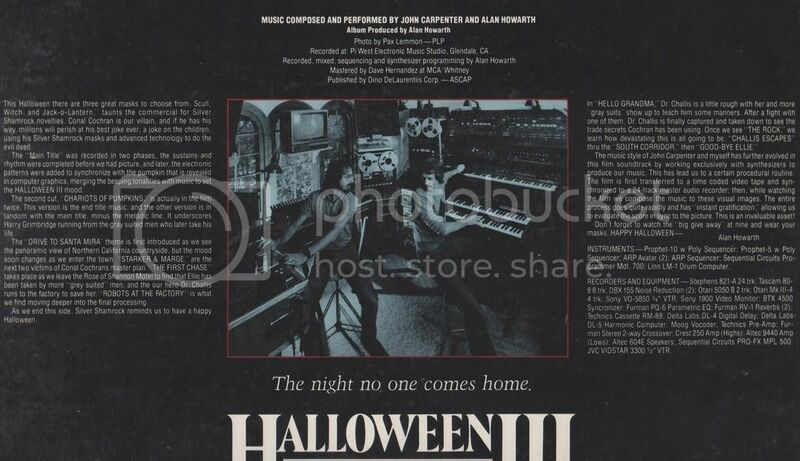 Listened Halloween III soundtrack again because it´s so damn good Especially the A-side. Here´s a back cover scan i took. You can see the cool studio photo and i like those Alan Howarth track by track comments. I think, Some Kind Of Wonderful has a brilliant soundtrack! I am hoping to purchase it on Vinyl, eventually. 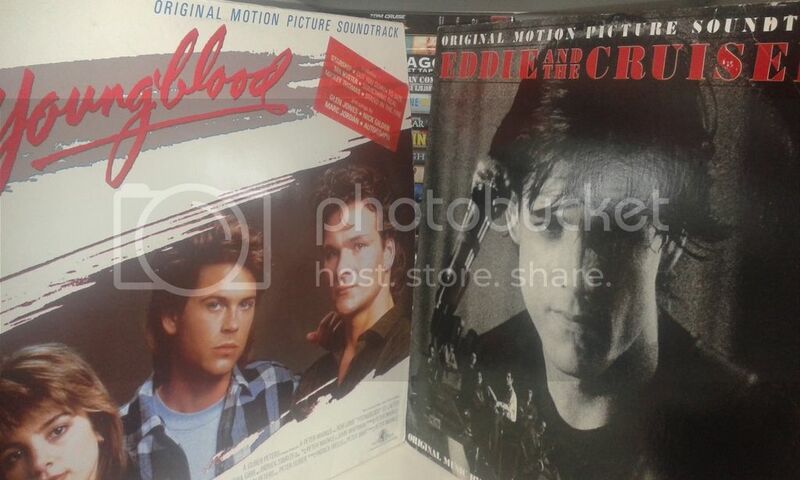 Visited a thrift shop yesterday and scored both Youngblood and Eddie and the Cruisers soundtrack albums on vinyl. What a feelin´! I can't remember much of Youngblood's soundtrack I need to watch the film again but I loved the Eddie And The Cruisers Soundtrack. Yesterday of eBay I got Back To School soundtrack on Vinyl and for a pretty good price as well!